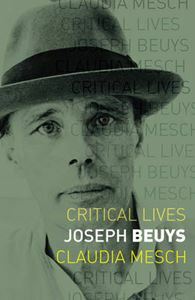 Quick overview A new critical biography of Joseph Beuys, arguably the most important and controversial German artist of the late twentieth century. Joseph Beuys is arguably the most important and most controversial German artist of the late twentieth century, not least because his persona is interwoven with Germany's fascist past. This book illuminates two defining threads in Beuys's life and art: the centrality of trauma, and his sustained investigation of the very notion of art itself. In addition to the materials of fat and felt that Beuys used widely in his oeuvre, numerous Beuys artworks are autobiogra-ph-ical in content. His self-woven legend of rescue and redemption still strikes many as a highly inappropriate fantasy, or even an outright lie, located as it is in the harrowing context of the Second World War as it was lived by a German soldier or 'Nazi'. Nevertheless, Beuys's self-mythology confronted the post-traumatic, foregrounding his struggle for psychic recovery. Perhaps most importantly, this led to his major efforts to expand Western art, freeing artists after him to work in a thoroughly interdisciplinary way and to embrace anthropological conclusions about art and culture. Beuys's lived experience determined a consistent commitment to peaceful change and positive transformation not only through his work, but in the discussions and institutions he initiated. His notion of activism-as-art has not only become a widespread practice, but is predominant in contemporary art of the twenty-first century. Exploring Beuys's expansive conception of art and following him into the realms of science, politics and spirituality, this book, in contrast to many other accounts of Beuys's life, attributes extraordinary importance to his own myth-making as a positive force in the post-war confrontation of Germany's past.